September's Xbox 360 Update Adds 2GB Cloud Storage and .. The Xbox 360 received a system update today adding new features including 2GB Cloud Storage, Activity Feed improvements and more. 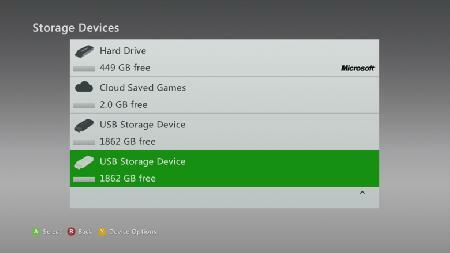 2GB Cloud Storage – Starting today you will now be able to use up to 2GB of Cloud Storage on your Xbox 360. Use your Cloud Storage to save the game saves you want to bring with you to Xbox One for Xbox One Compatible games. Redeem Codes from messages – When you receive an Xbox Live Marketplace code in a message you will now be able to redeem that code by simply pressing “Redeem Code”. What else is in this update? Activity Feed – Like, comment, share your friend’s activities, post new messages, watch game clips, view screenshots, and see what your friends are playing from your Xbox 360. You can access your Activity Feed by navigating to Social on your console. See What Your Friends Are Doing – You can now see what your friends are playing on Xbox One and Windows 10 from your Xbox 360. Microsoft Movies & TV and Groove Music – Access your movie and TV collection from Microsoft Movies & TV and your Music in Groove Music. See your money – Your Microsoft account balance will now be shown when you are looking at the details of a game or when browsing the marketplace.